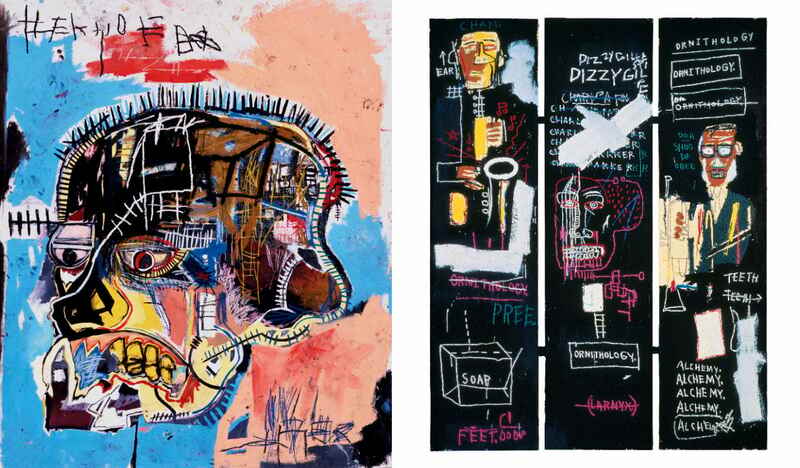 Merging poetry, drawing, and painting Jean-Michel Basquiat created vibrant canvases that acted like social commentary. Concerned with “race, identity and masculinity” he blended hip-hop aesthetics with iconography borrowed from ancient Egyptian mythology and references to TV and film with anti-capitalist sentiments to craft his own distinctive style. 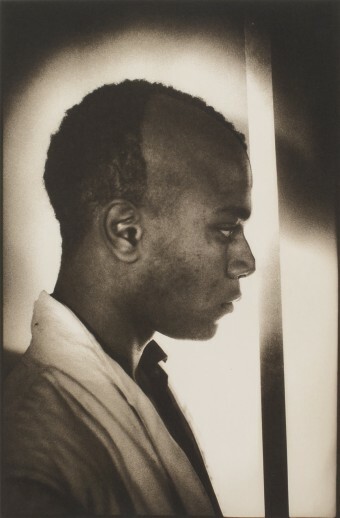 Basquiat’s emotively raw work, tragically short life and lasting impact on the art world and market, has made him the subject of much fascination, and many blockbuster exhibitions and books have documented his success, practice and meteoric ascent to fame. However recent discoveries and a ground breaking exhibition currently on display in Paris have opened up a previously unseen side to the artist, who many saw as disastrously “cannibalized” by the New York art scene. 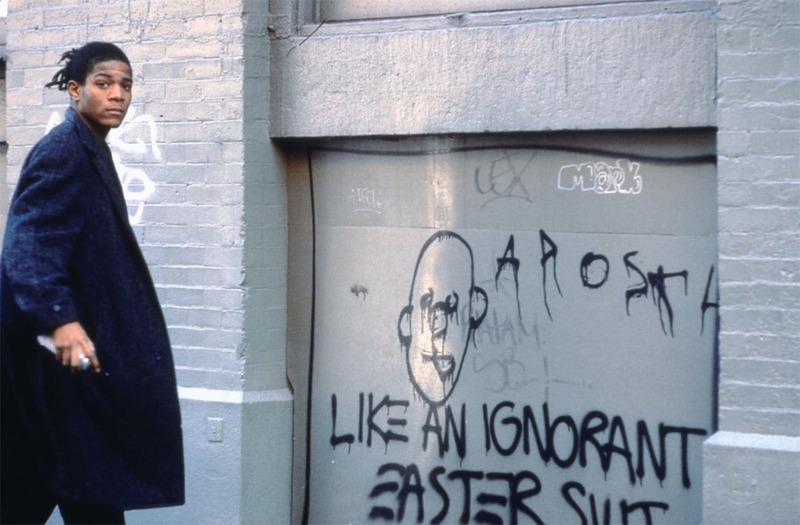 Hidden messages have long been known to be an element of Basquiat’s paintings, which often can be understood like visual puzzles, but this is perhaps the first time they have been so covert. 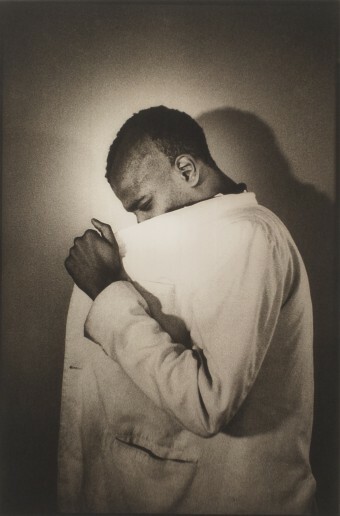 MacDonald-Korth claims, “It really relates to his use of erasure.” The art conservator is now encouraging anyone who owns a Basquiat to expose it to a UV flashlight to help us to learn more about Basquiat’s use of the technique and mysterious symbols. An exhibition on display at Fondation Louis Vuitton in Paris until January 21 also reveals a perhaps lesser-known tenet of Basquiat’s rich oeuvre. Bringing together over 120 works, many of which are from private collections and are rarely on view to the public, the show “explores the significance of words, lines, collages and assemblages and demonstrates the contemporary meaning and relevance of Basquiat’s work”. 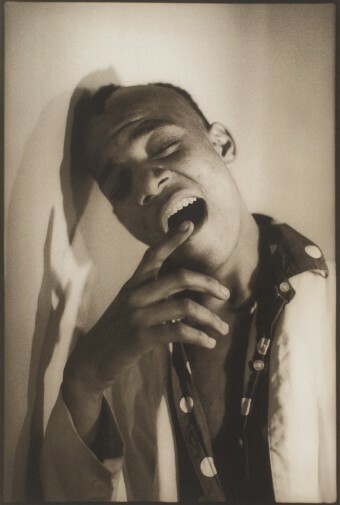 It was curated by Dieter Buchhart, who is often labelled as the world’s leading Jean-Michel Basquiat expert, and is the most extensively sourced and researched exhibition of Basquiat’s work that has ever been staged. It is also unlikely that a show of its scale will ever be seen again. 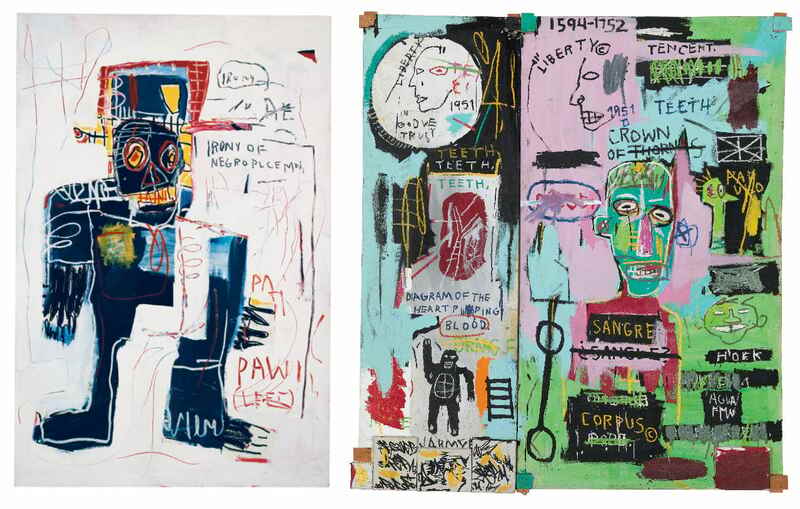 Since 2002, Basquiat’s auction high has increased at least tenfold and in 2016 he became the highest-grossing American artist at auction, generating $171.5 million from 80 works. In May 2017, his Untitled skull painting sold at Sotheby’s for $110.5 million, making it the most expensive work of art ever sold at auction by an American. Such staggering prices for his paintings means that the estimated total value of the works in the Fondation Louis Vuitton exhibition is an astounding $2 billion, and that only massively well-endowed museums would be able to cover the insurance and shipping costs of such a show. 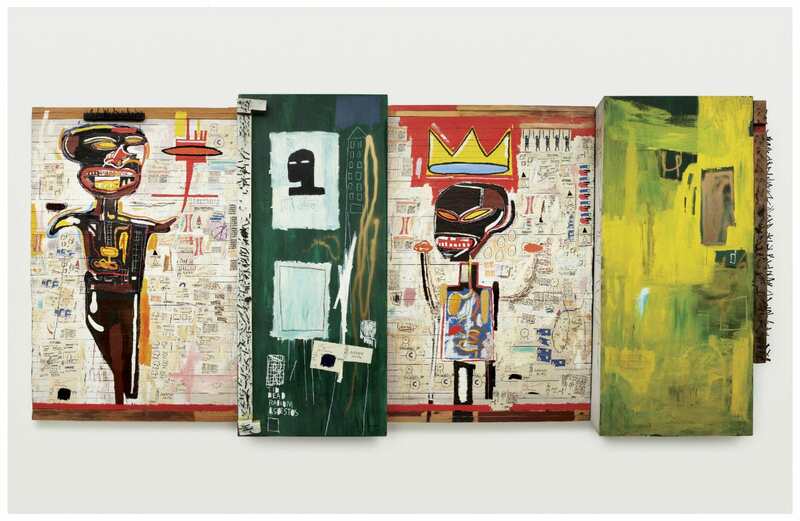 Jean-Michel Basquiat is on display at Fondation Louis Vuitton, Paris until January 21, 2019.